This torii gate is the largest of its kind, by dimension. 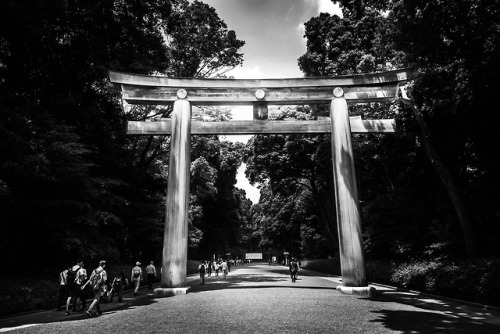 It’s located at the entrance to the Meiji Shrine in Harajuku, one of the livelier prefectures in Tokyo. It’s an impressive piece of architecture and the shrine itself is a wonderful place to visit.